Cold weather or hot weather. What bass fishing techniques are you going to use? Got any ideas? Ok, don't change your techniques too much. Fish deeper water in cold weather because the bass have fed on bait fish and moved into deeper water. Fish deeper water in hot weather because that is where the big bass are hanging out to be comfortable and escape the hot sun of summer. Fish shallower water in the fall when the bass are chasing shad and bait fish into creek channels and bays to feed before cold weather. 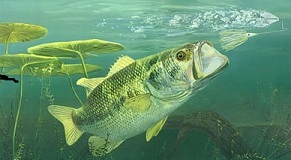 Fish shallower water in the spring when bass are building beds and spawning. That all sounds kind of too simple but there are many different techniques and lures that go into fishing in every season. Let's look at some of these bass fishing techniques and lures. Carolina Rigs are easy to learn to use and a lot of fun for beginners. This bass fishing technique can be used all year round if fished with the right speed and correct size lure. Carolina rigging is the NO.1 method for fishing a soft plastic lures according to many anglers. The Drop-Shot Technique can be used in clear shallow water and up to 20 feet or deeper. It is an effective technique to use in hot weather. You probably don't have to fish that deep in cold weather unless you find the bass there. This bass fishing technique was developed to catch bass that are kind of picky about what they eat. With a worm hook tied to the end of your line, tie another line and sinker to the end of the line a few feet below the hook and worm. When the sinker is dropped vertically and hits the bottom, the bait should be slightly above whatever structure is there and dangling among the bass! Because of its vertical presentation and effectiveness with picky bass, the Drop-Shop technique is used by many anglers to catch Spawning Bass. Crank Baits can be fished all year round with small or large lips or no lips at all. This is a good cold weather technique. Cast and crank. If the crank bait has a short lip, it will run shallow, 1 to 3 feet. If it has a long lip it will run 5 feet and deeper. Short or long lip, the depth of the crank bait also depends on other variables. The depth of the run depends on the speed of the retrieve, the length and angle of the rod, and the size of the line. The Flipping and Pitching Technique has become the most common method used to deliver the lure with the least amount of disturbance and the most accuracy. Flipping is used best around shallow cover. The boat must be positioned close to the target. To flip, pull 7 or 8 feet of line out of the spool and let the lure dangle with the rod tip up. Then lower the rod tip, point it toward the target and swing the lure out. While keeping the lure as close to the water surface as possible, let the lure drop into the water without much splash. Pitching is used when your boat cannot get close to the target and you have to use more angling skills to hit your target. This bass fishing technique can present the lure with the same delicacy as flipping. Pitching uses an underhand motion and releasing the reel spool to get more distance. Release the spool and keep the lure vertical to the water to allow a quiet presentation. One method of presentation is to pitch past and then drag the lure back to the target and let it drop. Another is to pitch to the target, then lower the rod tip to ensure a straight drop. It takes practice to hone this Flipping and Pitching technique but it can be effective to catch those lunker bass. Top Water Lures. There is nothing like the thrill of a huge bass blasting a top water lure! A few years ago my fishing buddy and I was fishing from a rental boat on the Natchez State Park Lake in Mississippi. The sun was just coming up over the trees and he was trying to sing the song from the Bill Dance fishing show. We were both rigged with top water lures. But his lure was the ugliest thing I had ever seen. He pitched the lure beside a stump in about 4 feet of water. We both watched as the ripples faded away and everything became quiet. He then gave the top water lure a slight twitch. One second later the water surface exploded and the fight was on! But the fight with the big bass only lasted about 10 seconds because my buddy had forgotten to check his drag! The bass took off and never stopped. My buddy was trying to loosen the drag when his 12 lb. test line snapped. The big mama never jumped but we knew he had hooked a monster using that ugly top water bait. 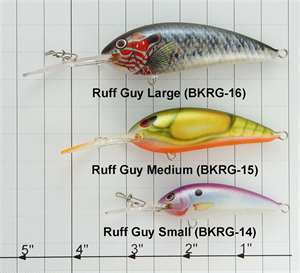 There are many kinds of top water lures including spinner baits and buzz baits. It is great fun to use this bass fishing technique and more fun when a monster bass rises up to attack and eat. Plastic Worms and Lizards are the most popular, least expensive and easiest to use bass fishing lure. When all else fails rig up a 6-10 inch worm, sling it out into open water or around structure and see what happens. One fine day my fishing buddy and I were out on the lake fishing with plastic worms. I was fishing a Texas rig with a six inch Tequila Sunrise worm. I had just cast into open water when my buddy needed help with his line or something. I put my rod down in the boat and spent about 2 minutes helping him get untangled. When I picked my rod up and started reeling the line in, it felt like it was hung on some bottom structure. I gave it a good jerk just to make sure. When I did that, my line started moving away to the side and I felt a good sized bass giving me a fight. I had just caught a 3 pound bass without really trying. Now I use several different lures on my fishing trips but I always come back to my favorite at some point, the plastic worm. These are just a few of many bass fishing techniques many anglers use to land that lunker bass.